An explainer of the recent changes to Social Security affecting two popular strategies: "file and suspend" and restricted application. On November 2, 2015, the Bipartisan Budget Act of 2015 was signed by President Obama. While the primary purpose of this legislation was to authorize an increase in the federal debt limit, the inclusion of Section 831, entitled “Closure of Unintended Loopholes” had a major effect on the popular claiming strategies of “File and Suspend” and “Restricted Application” used by many Social Security recipients. These strategies were allowed through provisions added in 2000 by the Senior Citizens Freedom to Work Act through a concept referred to as “voluntary suspension of benefits”. The law allowed those who had already started collecting Social Security benefits to stop their payments and earn additional retirement credits (“Delayed Retirement Credits”). These claiming strategies became quite popular and allowed those entering retirement to formulate various methods to ensure that they take maximum advantage of their Social Security benefits. Restricted Application allowed an individual who was at least Full Retirement Age, who had not previously filed for any benefits, and whose spouse has established a filing date (and may have suspended), filed for ONLY the spousal benefit based upon the spouse’s record. The “restricted” terminology indicates that the filing is not for their own benefit but for spousal benefits, which allows their own account to continue to grow. File & Suspend allowed an individual who was at least Full Retirement Age (currently 66 years of age) to file for his or her own retirement benefit and then immediately suspend receipt of those benefits until a future date up until age 70. The act of FILING established the date of filing which provides the benchmark for dependent, spousal, children’s benefits to be paid. Generally a spouse would then file for spousal benefits. The act of SUSPENDING invoked the process where the individual does not collect his or her benefits while still allowing other eligible individuals to collect. During the suspension, the individual’s account continue to grow at 8 pecent per year until age 70. Section 831a effective eliminates the ability to file a restricted application. 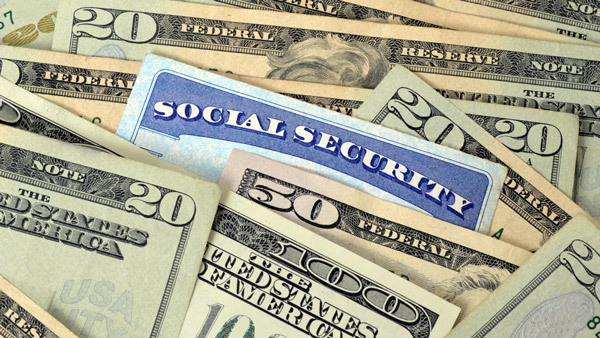 Under the changes to Social Security law, anyone who applies for an early retirement benefit or a spousal benefit is “deemed” to have APPLIED FOR ANY AND ALL AVAILABLE BENEFITS. Anyone therefore who applies for reduced/early benefits would automatically get the benefit that was greater – the retirement OR the spousal, but not both. Under Section 831a, as incorporated in Section 202(r)(1) of the Social Security Act changes the “deemed filing” definition to include ALL benefits rather than only EARLY benefits, essentially extending the “deemed filing” to age 70. Therefore, a spouse will no longer be able to file a restricted application to claim a spousal benefit at Full Retirement Age as has been done in the past. All benefits payable to that individual are suspended – based on the individual’s earning record (retirement) and also ANY OTHER person’s earning record (spousal or children’s). This requires that if there is a suspension of benefits, it cannot be selective. This may also apply to benefits for an ex-spouse. No other individual will be eligible for benefits based on the earning record of someone who suspended benefits voluntarily. This requirement negates the various file and suspend strategies allowing one party to enable their spouse to collect while delaying retirement benefits. If you were born in 1954 or earlier – essentially turning age 62 by the end of 2015, you are still permitted to file a Restricted Application at Full Retirement Age (age 66). Of course, to file the Restricted Application, your spouse must be either receiving Social Security benefits or having already executed a “File and Suspend”. In addition, this “deemed filing” will not apply to individuals filing for Survivor benefits who will still be eligible for claiming these benefits as separate from retirement benefits. This allows widows and widowers the continued option to maximize benefits. This, does of course, presume that the survivor has not already filed for their own retirement benefits. The assumption is also that the benefit would be larger than the survivor benefit, since if not, there would be no reason to restrict and later switch. After April 29, 2016 – turn out the lights, the party’s over – no one will be able to file and suspend to trigger a spousal benefit or to protect the rights for retroactive benefits. However, there is one thing to be thankful for – in the original version of the legislation, those CURRENTLY collecting under file and suspend would have lost their benefits. A last minute change to the bill provided a grandfathered provision protecting spouses and children ensuring that those currently receiving benefits before the effective date will continue to receive benefits. LONG-TERM EFFECTS AND STRATEGIES –WHAT’S LEFT TO DO? Because of the time-critical nature of these strategies, individuals who are eligible should consider taking advantage of the “file and suspend” strategies if eligible to do so within six months of November 2, 2015, enabling them to protect their options for the future. Utilizing “file and suspend” before the rules change ensures establishment of a “claiming date” which allows an individual to, if necessary, file and request benefits back to the claiming date – protecting the cash reserve that has been built up (rather than a six month retroactive rule). Individuals who are already 62 years of age or older still have the ability to utilize the Restricted Application strategy until age 66. Delayed Retirement Credits are NOT impacted by the legislation. One continues to earn Delayed Retirement Credits if benefits are delayed past Full Retirement Age. The strategy of maximizing Surviving Spouse benefits by waiting to age 70 to earn the full 32 percent DRC remains, resulting in the surviving spouse (assuming that they made less) being able to collect maximum possible benefits. A higher income earner might still want to take benefits prior to age 70 to allow for collecting of spousal or children benefits at an earlier date. And, of course, both spouses can still wait until age 70 to file and earn the maximum amount of Delayed Retirement Credits on their own. These changes happened suddenly and without public debate. Congress attached these changes upon emergency legislation to avoid a default on the federal debt and to avoid large Medicare premium increases. As noted above, the 2009 Report from the Center for Retirement Research estimated that the restricted application approach could cost the SSA over $9 billion per year if everyone used it, the Social Security Administration estimates that the elimination of these strategies will save approximately 0.02 percent of the 2.65 percent of taxable payroll. The AARP supported the changes with the justification that it affected only a small group of retirees, noting that only one-tenth of one percent of all Social Security recipients utilized “file and suspend”. In a statement issued from AARP’s Director of Financial Security and Consumer Affairs it was noted that “The claiming strategies impacted would apply entirely to future beneficiaries”. Although the changes caught most Social Security beneficiaries – AND planners, off guard, there is at least some time to react.